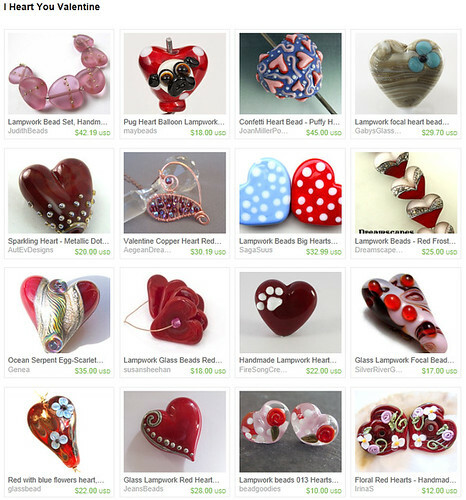 Autochthonous Evolved - Jewelry and Lampwork Beads: Thank YOU For Taking Some Time To Look At My Work! Thank YOU For Taking Some Time To Look At My Work! There is a good side and bad side to being an artist that has been working in a social vacuum for the last seven months. I'll post about the good part another day. The frustrating part is getting limited feedback about my work. When I worked at Knits & Pearls, creating jewelry and teaching classes, I got to see first hand which pieces sold, which pieces people looked at and touched, and which pieces people ignored. Online stats give me some sense of that online, but unlike the store, it takes a lot more work to try to get people to even notice, let along judge whether they like it or not. I will be the first to admit that, until the past month or so, I hadn't been serious about marketing myself. But now, there are extended spans of days where I work like a mad woman, making beads, making jewelry, putting things online, blogging, even to the reality-check point where my unusually-well-behaved-but-extroverted-attention-needing little boy will start expressing his neglect in rather overt ways. Sometimes after all of that my blog readership goes up a little, or I get more views on Etsy or Flickr ... but not always, and it's hard not always understanding why that's the case - if it's because the work is unappealing or I'm just getting lost in the shuffle. Because of the uncertainty involved putting your work into the online marketplace, I feel particularly grateful to the amazing artists and connoisseurs out there who take the time to create Etsy treasuries of amazing art and craft and including my work among them. It's just nice to know some of my work is 'favorite' worthy, particularly when it helps other people find and 'favorite' my work. Since the beginning of January I've been featured in twelve treasuries, and I am thankful for every single one. Here are four of the most recent. The point of this little tale is - thank you for taking the time to look! Not just at my work, for which I am entirely and completely thankful, but for taking the time to get to know the quality and value of the work all artists create. Even when it's out of your budget, the acknowledgement that the artist created something of value, worth your time to find and see, and believing/seeing/knowing it's worth someone's money to buy, is truly uplifting and encouraging. Thank you. 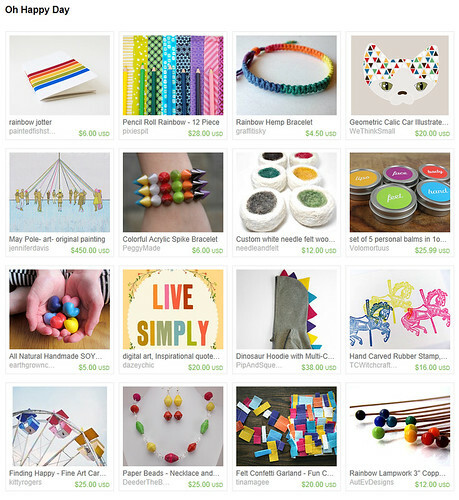 If you happen to be an Etsy user, take the time to create a treasury. You, like I did, may think it's silly, but they are, as I now understand, really important encouragement to the artists you feature. 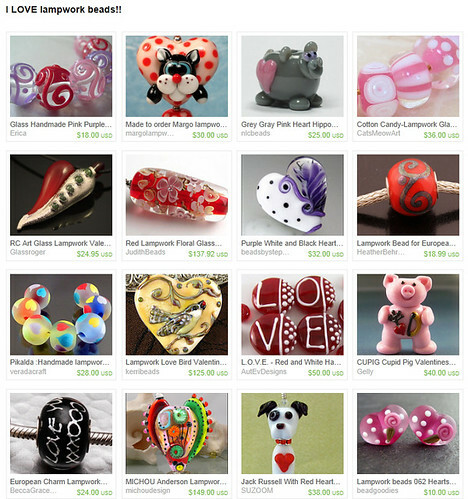 If you're not familiary with Etsy, I encourage you to take a look. 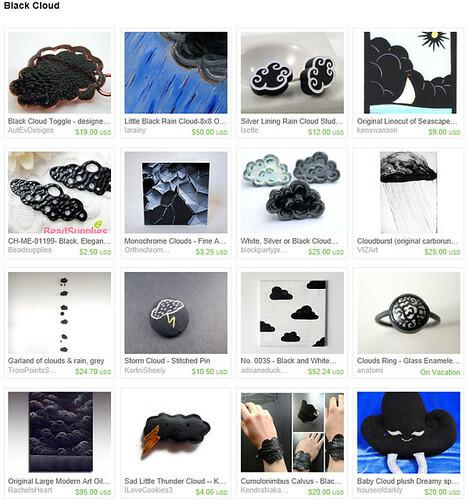 There are an amazing number of talented artists in this marketplace of handmade art and craft, from highly ingenious fabric baby books to extraordinary sculpture, and most are charging way less than their work is really worth. The more you look, the more you'll see that's true.